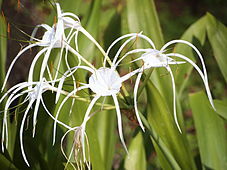 Look up spider lily in Wiktionary, the free dictionary. 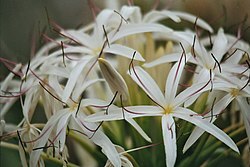 "Spider Lilies" redirects here. 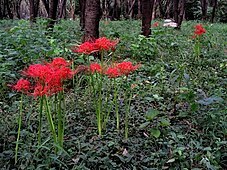 For the 2007 Taiwanese film, see Spider Lilies (film). This page is an index of articles on plant species (or higher taxonomic groups) with the same common name (vernacular name). If an internal link led you here, you may wish to edit the linking article so that it links directly to the intended article. This page was last edited on 29 August 2018, at 14:35 (UTC).